The Official Duke/UNC 2018/19 Basketball Thread!!! Supremely disappointed after tonight. I know it doesn’t belong in this thread exactly and should be in the BF, but there is far too much emotion going on over there. I don’t feel like being ridiculed. 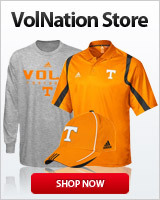 I’m really proud of the Vols, even though we won’t have the banners or hardware to show for it. It was a helluva year and I’m proud of how hard those guys fought. It is hard to be a Vol a lot of the time, but I’m damn proud to be one. Well they want to blame the refs or think or the last sequences of the game. Change that first half just a little bit by making shots or heck even make fts and they aren't griping about the end of the 2nd half. Good season, but could have been so much more with this team which ultimately is the sting for all fans. I think at one point we were 5/15 from the line and they were 1/5. That’s on us . The referees did not win or lose the game. We put them in a position to make a huge call at the end and came up short. Same thing about everyone complaining the officials in the Duke UCF game. UCF finishes that alley oop and the game is over . They didn’t and payed for it. You know, though, it's very rare that a team loses a game and could honestly say, "there's nothing more we could have done to win the game." Especially when the teams are relatively evenly matched. So, there are things we could have done to take the game out of the official's hands, and there are things Purdue could have done so that it didn't come so close to losing the game. What's so frustrating is that it shouldn't be too much to expect competence from an officiating crew. There were several events in the final 2.5 seconds where the officials' decision (or lack thereof) potentially impacted the outcome, and they all went in Purdue's favor (did the ball go off the Purdue player?, did he push off to get separation from Turner on the inbounds pass?, did the player inbounding the ball hold it for more than 5 seconds, did the Purdue player's heel touch out of bounds when he caught the ball?, was there a foul?, did the clock start early on our inbounds play?, was too much time run off the clock after we signaled for time out?). Tennessee isn't a traditional basketball power where we can say with any confidence "there's always next year," so I like to look at this year's team in combination with last year's. We can't say with confidence that another group is going to be assembled like that again in short order. With basketball, you kind of have to assume that any sort of success we have is fleeting, because it has been fleeting over the life of the program. Historically, we haven't had long periods of time where we've been successful. I absolutely hate saying this, but these teams the past couple seasons didn't really win anything. They split a regular season title last year, but that's it. No SEC Tournament title and no deep tournament runs. They'll ultimately be remembered for some nice regular seasons and faring well against Kentucky overall, but that's it. Nobody other than Vols fans will really remember them, which is a damn shame. It's a shame they weren't able to do something no Tennessee had done in a long time (like with an SECT), or had never done (like make a Final Four), because they're totally capable of it. They just couldn't execute in certain spots. In the end, neither team was even able to get beyond the Sweet Sixteen, and that's despite the 2018-19 team being ranked no lower than 8th all season long, and spending 4 weeks at #1. I agree one hundred percent. Like you said, would have been nice had UT won the sec tourney last year or this year and made runs, but they didn't. When will they get the chance again? Kentucky isn't just going to crap out too many more years without getting back to their winning ways. I had UNC beating Duke in the final. Maybe the Tar Heels should have gone to class. Bruce about to fire up the grill, nc firing up the bus! I hate basketball. That is all. You seemed to love it in the regular season. I maintain my hatred of basketball. Seriously, in 4 sweet 16 games where I cared about the outcome I was 0-4. Would not be surprised to Michigan State win 5-10 points today. If Reddish can’t go today, you might not have a choice. Wow, that's crazy. Never would have guessed he's done so poorly against all 3 of those guys, especially Boeheim. Did he ever beat Roy with Kansas? Once I think. That’s hard to believe. I agree about the win loss versus Boeheim. K and Roy consistently have better players than Izzo, but not Boeheim.